Discover useful app analytics, app store optimization, fraud protection services, and learn about the major industry events — all hand-picked specially for app developers. AppRankCorner is a free app store optimization tool that helps developers optimize their app’s keywords, using its intelligent suggestions. Track keyword rankings and compare them with the competitors to analyze an app’s performance and receive daily email reports with new rankings and reviews. Appnique enables app developers to market apps through organic app store SEO (ASO) and mobile app install ad campaigns, driving improved app discoverability, increased downloads and better ROI. Appscatter is an app distribution, management, and monitoring automated platform. It integrates with 50 of the world’s top app stores and helps to publish an app, according to the requirements of each store and app's individual specifications. Developers can monitor the app performance across all app stores. Apptopia provides services in app analytics, data mining, and business intelligence for the mobile industry. It is a market intelligence and competitor tracking services keeping score of app performance metrics on all major app stores. Apptrace is the fastest free app analysis service. Made by developers for developers, it provides users with key app store analytics data to monitor their app's performance in the market, including the unique sentiment analysis. Appbot is a tool that aggregates app store reviews for all countries on iTunes, Google Play, Amazon and Windows stores. Surface user sentiment, bugs and feature requests, and seamlessly pushes this feedback into app development and support workflows via native integrations. App Radar helps marketers and developers of mobile apps and games to increase their organic reach in app stores. It’s a high-end SAAS solution with features designed for improving search rankings as fast and easy as possible. AppTweak is an App Store Optimization (ASO) tool driven by data science that empowers app marketers and developers to improve their store visibility, increase app rankings and drive organic downloads. Main products of the ASOdesk are Keyword Analytics, Keyword Explorer and Keyword Charts and Competitors. But ASOdesk also offers marketing automation, app analytics and “organic intelligence”, which explores search traffic in depth. ASOMaker (WakeApp) helps to improve App Store Optimization and boost organic installs growth. The service offers auto-selection of keywords, ASO recommendations based on the app analysis and the review tool for dealing with customer feedback right out of the service cabinet. 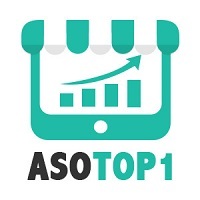 ASOtop1 helps to boost app store rankings via app store optimization and get app ranked in app store search results. CodeNgo is a multi-app store self-publishing tool for Android app developers. CodeNgo helps developers submit and manage all of their app store accounts from a single platform. Gummicube is an end-to-end solution for mobile marketing and ASO. It helps mobile apps find their audience using big data analytics. KeyApp.Top is an app promotion service that helps Android developers to boost keyword ranking and increase the number of application installs. Lab Cave combines the expertise of 'ASOers' with innovative and advanced analytical techniques developed by its ASO BOT. Lab Cave's in-house technology based on machine learning and artificial intelligence. Meatti helps mobile app developers increase app downloads and revenue with actionable insights. Miratrix provides competitor and market analysis, keyword research, app store page optimization, and examines reviews and user experience to boost app store visibility. MobileAction is an app store optimization and app analytics tool. The service assists developers in improving the visibility of a mobile application in an app store, such as Google Play. PickASO is a specialized App Marketing solution focused on ASO (App Store Optimization), user acquisition, app indexing, app content marketing and mobile business for startups, brands, and developers. Priori Data is a keyword intelligence service, which helps optimizing an app’s store page and provides competitive intelligence analysis, tracking the performance of the app and its competitors across various countries and stores. RankMyApp is a tool that helps apps get more organic downloads by ranking higher in the app stores. Its algorithm automates data analysis and helps developers understand what the users are searching for in the app stores to improve the app's communication. SearchMan is an ASO tool for iPhone, iPad, and Android mobile app developers. SearchMan is dedicated to gathering and sharing data, including keyword suggestions, search rankings and search ads. Sensor Tower is an app store optimization and intelligence platform for app developers. It allows users to track everything about ASO: ranked keywords, charts, ratings, reviews, competitor apps, etc. Users can also track the records of in-app analytics for more precise details of competitors. Split Metrics is a tool for app developers and game publishers, which enables A/B testing and optimization of app store pages for maximum conversion rates. Split Metrics helps to optimize creatives, personalize app pages for different demographics, and analyze user behavior in real time. The A/B tool helps to test everything from icons and screenshots to video previews and the color of the download button. The ASO Co provides an end to end, global App Store Optimization and management service covering competitor analysis, metadata/creative production, review management, A/B testing, localization, reporting, data analysis and optimization for all app stores globally. StoreMaven‘s key selling point is the Artificial Intelligence tool, which evaluates the results of A/B testing (and it can test a lot of different variables) to give the best possible results. TheTool is aperformance-based ASO and app marketing tool for brands, startups and developers. Track everything related to your App Store Optimization strategy: organic & non-organic installs, keyword rankings and intelligence, Top Charts rankings, user ratings (feedback), conversion rate, revenue and much more. Adjust is a business intelligence platform for mobile apps, providing analytics and attribution solutions. With adjust’s open source SDK, app developers can track and analyze user acquisition, feature releases, user lifetime cohorts and more. App Annie is an app analytics and app market data platform for developers and marketers. This app store optimization tool helps to measure, test and optimize the keywords to increase an app’s discoverability and boost downloads. 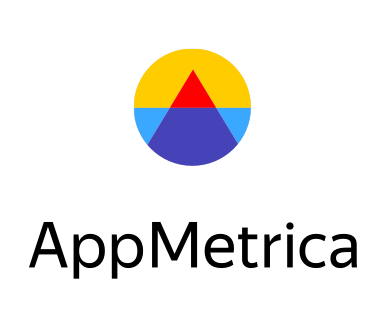 AppMetrica is a mobile attribution and analytics platform developed by Yandex. It is free, real-time and has no data limits restriction. Appsee offers a SaaS-based platform that enables companies to optimize their mobile applications. It provides an in-depth analysis of users' behavior, allowing users to deliver the ultimate app experience. AppsFlyer is the global leading platform for mobile attribution & marketing analytics. It has a special type of algorithm that can track downloads and installations. Appsumer is an automated ad reporting & analytics platform. The complete user acquisition engine, Appsumer allows scaling app businesses to accelerate their UA processes and their growth. Appstatics is an application performance tracking tool that is able to track any iPhone and iPad application from top 300 category listings of all countries. Users can track his own or competitor's apps. Users can find out how any promotion or marketing tactics of those apps affect the app store rankings by tracking their performances. Apptimize lets mobile teams increase revenue and engagement by iterating faster and smarter. It helps to optimize, deploy, and manage the features and UX of iOS and Android apps in real-time through instant updates, A/B testing, feature flags, and analytics. Apptentive’s mobile customer experience software empowers companies to build brands customers loyalty by understanding their behavior and expectations. The product gives brands the opportunity to listen, to engage with, and retain their customers through intelligently timed surveys, messages, and prompts. Apsalar (Singular) is a platform for an app analytics, attribution, audience segmentation, and distribution. Apsalar now part of Singular. Branch is a mobile marketing and deep linking platform that supercharges an app growth and seamlessly plugs into the marketing stack. CAKE provides a SaaS-based solution for advertisers, publishers, and networks to track, attribute and optimize their spend in real-time. Countly is a real-time analytics platform that provides information on application usage and end-user behavior. It is open source and developers have the freedom to build analytical solution of their choice. Devtodev is a universal toolbox for mobile app developers. All-in-one platform for mobile and web application analytics. 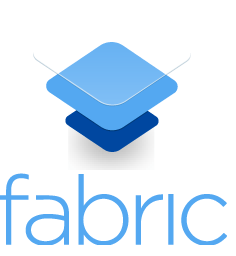 Fabric is a platform that helps mobile teams build better apps, understand their users, and grow business. From development to launch and beyond, Fabric gives everyone on the mobile team a complete, real-time understanding of an app's performance and health at every stage. Flurry provides analytics solutions for businesses to monitor the trends and habits of mobile users across multiple mobile applications. Geckoboard is a live TV dashboard software that focuses teams on improving key metrics. Users can easily visualize key metrics of their app in real-time, analyze and make better decisions. Geckoboard helps to see the health of the business across the entire app user journey. Heap automatically captures every web, mobile, and cloud interaction: clicks, submits, transactions, emails, and more. Retroactively analyze data without writing code. Improvely identifies the source of every signup and sale, whether it's from a marketing campaign or any other channel. Kochava provides holistic, unbiased measurement for precise, real-time visualization of app performance through the funnel. It gives a real-time analysis of user behavior, user engagement, daily usage, and downloads 24/7. Localytics is a mobile engagement platform for mobile and web apps. It gives users the insights and tools they need to improve their mobile app acquisition, engagement and retention efforts. MetricsCat a mobile apps analytics service. Their tools empower developers to perform market analysis and track app performance across markets. Mixpanel is an analytics platform for the mobile and web, supporting businesses to study consumer behavior. It is an open platform for easy integrations. It helps businesses understand how their users behave and use their products by tracking actions people take rather than page views. Singular, a marketing intelligence platform, unifies marketing analytics, giving users actionable insights from previously siloed data. By connecting upper funnel marketing data with lower-funnel attribution data, users can measure ROI from every touchpoint across multiple channels and optimize spend down to the most granular levels. Along with attribution, app store analytics and in-app marketing, Tune offers an app store optimization tool for developers to boost organic results by optimizing their app store assets. Upsight is a mobile analytics and marketing platform, processing more than 500 billion data points monthly and used by thousands of apps worldwide to manage and optimize their mobile businesses. Designed to be flexibly accessed, the data and marketing tools are accessible via flexible APIs to both third-party solutions and Upsight’s platform tools. AppTestNow from Intertek offers accessible, cost-effective testing services for any application on any device, any network, anywhere in the world. BugClipper creates complete bug reports with screenshots, device details, and screen recordings. Users can report issues directly from an app, with screenshots, screen recordings and crash videos. Crashlytics provides powerful, yet lightweight crash reporting for iOS and Android. It is a streamlined solution for app distribution that gives users a single cross-platform tool-set, and a delightful, effortless onboarding for testers. HockeyApp helps to collect live crash reports, get feedback from the users, distribute betas, and analyze test coverage. Raygun is an error and crash reporting product that detects, diagnoses and resolves issues that are affecting end users of an app. It enables developers to build stronger, faster and more resilient web and mobile applications. Instabug offers services for mobile app developers to help them test their applications, starting with a revolutionary in-app feedback mechanism. It can be used for beta testing, user engagement, and crash reporting. Splunk MINT gives users meaningful crash reports in real-time that help to fix and improve the apps. Ubertesters is a free, cloud-based, mobile apps testing platform that keeps the mobile app project manager in total control over the app testing cycle. AppMachine is an easy and complete app building solution. It allows the creation of apps for everyone, across a range of categories. Apps Builder is a software that helps to publish mobile apps. Its users can create native iOS, Android & HTML5 web apps. AppsGeyser is a free online Android app creation platform for web publishers. Appy Pie is a mobile app creator released for Android, iOS, Fire OS, and Windows Phone platforms that allows its users to create and monetize different types of mobile apps. Bizness Apps is a mobile platform enabling small businesses to easily create, edit, and manage applications online. bobile is a free mobile app builder specializing in small business’s needs. Buildbox is a new video game maker that is extremely easy to use to design games for mobile and console. BuildFire provides users with a seamless way to build mobile apps with no coding required. Fliplet is a platform to create, manage and securely distribute apps without writing code or creating designs. MobAppCreator is a self-service application platform that allows its users to build their own iPhone and Android applications and connect directly with consumers. Hatch Apps automates software development, making the process of building an app fast and affordable. Mobiloud is a platform for bloggers and online publishers of all sizes to build native iPhone and iPad apps. Publishers can create native apps at affordable prices, monetizing the traffic through native ad networks or by integrating their own ad servers. Mobile Roadie is a powerful mobile app platform that enables users to design, build, and launch low-code apps quickly, easily, and economically. Shoutem is a powerful drag&drop mobile app builder, which allows users to create mobile iOS and Android apps. AppCooker is a prototyping studio for Watch, iPhone & iPad apps. No skills required. AppMockupTools helps to make easy app mockups, wireframing & prototyping for iPhone and iPad. Fluidui helps to design interactive prototypes for Android, iOS, web and desktop in minutes. Framer is a tool to design interactive high-fidelity prototypes for iOS, Android, desktop, or the web. It enables users to turn static mockups into interactive prototypes and to experiment quickly with dynamic, native-feeling animations and interactions. InVisionApp provides a design collaboration platform. It lets users research, design, review, and test products, offers tools for prototyping, task management, and version control, enables users to create and craft things for web and mobile platforms, and allows users to design prototyping, sharing and presentation, feedback and commenting, meetings and whiteboarding, and organization and collaboration. Justinmind is an advanced wireframing and prototyping tool that enables users to wireframe web and mobile apps without coding. Justinmind is offering professional solutions to create, visualize and test an HTML version of any application or dynamic website before the program is actually developed. Keynotopia is a collection of UI design templates for creating mockups, wireframes, and interactive app prototypes in 30 minutes or less, using Apple Keynote or Microsoft PowerPoint. Marvel App is a collaborative design platform where users wireframe, prototype, design online and create design specs in one place. POP from Marvel App helps to transform a pen and paper ideas into an interactive iPhone or Android prototype. Proto.io is an application prototyping platform. It helps to create fully-interactive high-fidelity app prototypes. No coding required. UI Stencils provides tools and materials for prototyping websites and applications. Alconost helps companies take their products to the global market by localizing applications, games, websites, translating texts and making promo videos. Language translation and localization company specializing in mobile apps. It supports over 20 different languages such as Spanish, French, German and Japanese. App developers can upload various text strings and localize apps for Android, iOS, Blackberry, and other platforms. Applingua is an accessible app translation service, offering full end-to-end localization support to developers wanting to increase their market presence worldwide. The driving force behind Applingua is to provide a service that not only gets the terminology right, but also fully understands the development process by delivering on-time, affordable translations. Babble-on is dedicated to translating and localizing iOS, Android, and Windows apps, as well as related English writing services like app descriptions and press releases. 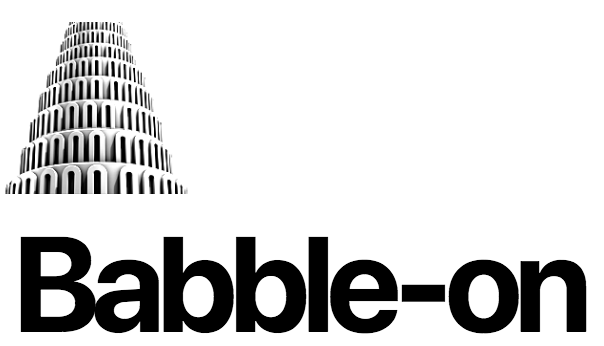 Babble-on is an actual team of highly skilled software translators. Every translator is a native speaker of the target language and has years of experience specifically in apps and localization. Crowdin is a localization management platform that makes a website, app, game and other software universally accessible through translation. Gengo is a global, people-powered translation platform enabling everyone to read and publish across languages with one click. ICanLocalize provides professional translation services. The company specializes in translating mobile applications, WordPress and Drupal websites. DYS Translations provides translation and localization services for mobile apps and video games. LocTeam provides app translation, book & eBook translation, as well as world-class Mac & iOS localization services. Lokalise is translation platform for developers. Users can upload language files, translate, integrate using API. OneSky provides easy solutions to translate mobile apps, websites, and documents to fit an agile development cycle. OneSky provides a powerful cloud-based translation management system (TMS) that streamlines the entire translation management process for mobile apps, websites, and documents. Poedit is a translations editor to translate apps & sites with Gettext. POEditor is an online localization service, perfect to manage collaborative or crowdsourced translation projects. It helps to translate websites, apps, games and more. OHTmobile is a mobile apps localization tool. It scans the app, extracts the strings and enables crowd, professional or machine translation. 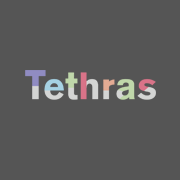 Tethras is mobile app localization service that offers translation and localization solution at a low cost. Text United is a software company that simplifies translation of documentation and software through the means of language technology. It provides a Translation Management System for companies looking to create and maintain multilingual apps, tech docs and websites, removing the chaos from translation and blending the processes of ordering, translation, and delivery in one. Transfluent is the ultimate high-tech solution for language translations in social media, web, and apps. Transifex is a localization automation platform that powers the process of launching digital products into multiple languages. VerbalizeIt delivers web, mobile, document, and video language translation solutions to empower businesses to go global. PhraseApp is the translation management solution, enabling software developers around the world to localize software more efficiently. Accengage is a mobile engagement solution for push notifications, mobile retargeting, mobile tracking, and app analytics. Braze is a customer engagement platform for leading brands. It unites data, technology, and teams to create a messaging experience. The platform allows real-time and continuous data streaming, replacing decades-old databases that aren’t built for today’s on-demand, an always-connected customer. Carnival is a mobile marketing platform, enabling brands and agencies to run interactive messages and analytics into their mobile apps. Catapush is a mobile messaging solution which empowers developers and companies to send reliable and traceable IP messaging adding important features to Android/iOS native push notifications. Developers can now build WhatsApp-like messaging into any of their apps. Infobip is a full-stack communications platform as a service (CPaaS), with private cloud infrastructure and zero-hop connectivity to telecoms globally. With the help of the platform, developers can send push, email, SMS, voice, and chat messages to their users. 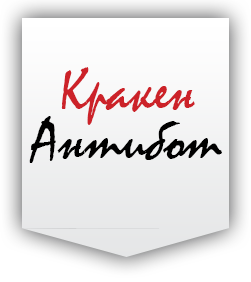 Kumulos is the business growth platform for mobile app development, web development, and digital design businesses. It provides users with a wide stack of features: push notifications, analytics, crash reporting, ASO, etc. Leanplum is a mobile marketing platform that delivers meaningful engagement across messaging and the in-app experience. It helps to orchestrate multi-channel campaigns — from messaging to the in-app experience — all from a single, integrated platform. MoEngage is an intelligent marketing cloud, built for the mobile-first world. With MoEngage, companies can orchestrate campaigns across channels like push, email, in-app messaging, web push and SMS, with auto-optimization towards higher conversions powered by machine learning. OneSignal is a complete push notification solution for mobile apps. It's easy for developers to add personalized mobile push notifications or web push notifications to their apps. PushBots is a free push notifications service for mobile apps native and hybrid. 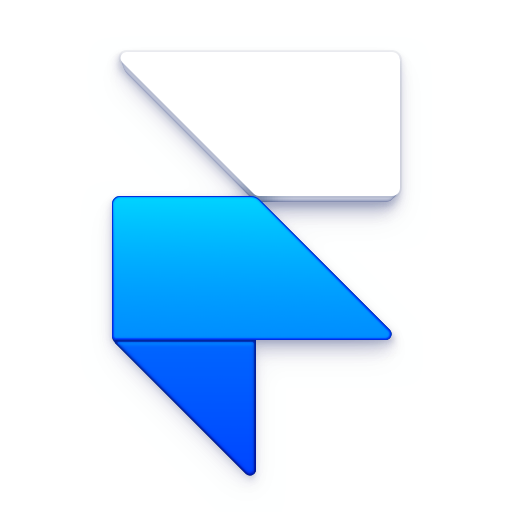 Pusher is a developer tools company that makes communication and collaboration APIs powering apps all over the world. Their easy and reliable platform gives everything developers need to build scalable interactive apps. Pushwoosh is a marketing automation platform capable of sending mobile and web push notifications, campaigns performance analysis, in-app messaging, etc. 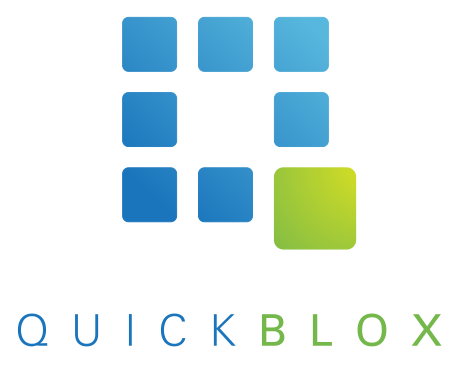 QuickBlox is a cloud communication backend that allows to add chat, video calling, push notifications, cloud sync into mobile and web apps. Swrve is a mobile marketing automation platform, pioneering the fast-growing mobile engagement marketing space. It combines predictive analytics with messaging for mobile apps in a Predictive Marketing Suite, which employs a continuously updated behavioral algorithm that determines an app user’s propensity for action or inaction. Urban Airship is a platform for marketers and developers that is built to drive growth through real-time customer engagement. It helps to deliver personalized, interactive notifications that inspire interest and drive action across all digital channels including apps, websites, mobile wallets, email, SMS and more. AskingPoint is a real-time, rule-based tool for intelligently managing customer relationships. One SDK provides a complete mobile customer engagement solution including app analytics, in-app ratings and reviews, feedback, customer support, mobile surveys and messaging. AppStark is in-app feedback system for mobile apps. It provides a way for app users to talk to the developer directly inside the app and the developer can respond to the users. Integrated into thousands of mobile apps, Apptentive helps companies proactively engage customer segments, track customer sentiment, boost app ratings, drive downloads, and earn loyalty. CometChat is designed to create user interaction with all its features and further increase user engagement on a website/app. It enables voice, video and text chat on website and mobile apps using CometChat's Messaging & Chat API. 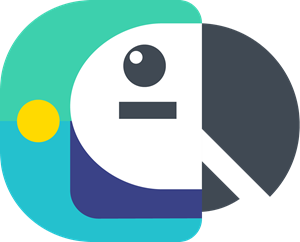 Helpshift is a conversational customer service platform that leverages AI, bots, and messaging-based communication. HelpStack is an open source iOS and Android mobile app help desk. It helps to interact with app users, provide in-app customer support, solve bugs and much more. Mopinion offers customer feedback analytics software for websites and apps. The platform is developed for analyzing large amounts of customer feedback data from digital channels. Survicate Mobile App Surveys lets developers gather insights seamlessly within the user experience of their mobile application. Real-time click fraud monitoring software. Adinton is an attribution marketing software, which can work with a ton of data in real time. The faster fraud is detected, the less it will cost. The Adjust Fraud Prevention Suite protects advertisers' budget and stops mobile ad fraud in real time. It gives a clean marketing attribution data for totally accurate analysis. Forensiq (Impact) helps its users eliminate click, conversion, and impression fraud as well as cookie stuffing. The award-winning fraud detection platform is now natively integrated into Impact’s unified platform for ad fraud detection, marketing intelligence, and partner management. Improvely click fraud monitoring helps to detect, block & deter click fraud and save money on up to 17-29% of clicks on paid ads. Kraken is a system that provides users with a dynamic blacklist of bots. So they can be easily excluded from the targeting. Pixalate monitors hundreds of billions of ad events in real time by tapping into the global RTB data stream, providing insights to optimize performance, benchmark supply quality, and eliminate fraud. Protected Media is a single solution to fight multiple threats, including non-human traffic, ad viewability and brand protection. It is based on a specially developed multilayered ad protection technology, which can tell in a flash whether an ad is viewed/clicked by real humans or not. 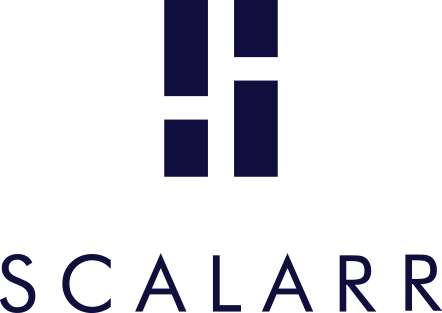 Scalarr is the ML based antifraud solution for the mobile companies to protect them against the app-install ad fraud and prevent losses. TrafficGuard is a fraud prevention solution to actively block traffic at three levels – at the click, attribution and post-attribution levels. It provides comprehensive digital ad fraud detection, mitigation and reporting in one tool. Trust Metrics analyzes over 16,000 features of 750,000 different publishers across the web & mobile. Trust Metrics goes deeper than just a lack safety concerns and looks at content for quality features including freshness of content, page design, user experience, depth and breadth of editorial, and hundreds of other unique features to generate an overall quality score and safety ratings. Clickky's Calendar is a complete and up-to-date calendar of the events for app developers worldwide, including conferences, seminars and workshops. The calendar view shows the events in all locations by month, the map view is for browsing by location and the timeline view provides the complete outlook on the year in app development. Braavo provides integrated financing for mobile app businesses. It uses data, integrations, and automation to deliver performance-based funding that's customized for mobile growth. We are Clickky, a full-stack platform for mobile advertisers and publishers. We offer programmatic, performance and video solutions and help app developers to monetize their traffic and acquire new users. Would you like to get access to more resources for app developers?